At the end of the trade show, we randomly drew from our hat of business cards that we had received and this lovely lady was our winner! Pictured with Hermitage/Donelson Sales Representative. It pays off to stop by and say hello! It's not magic but it's close! 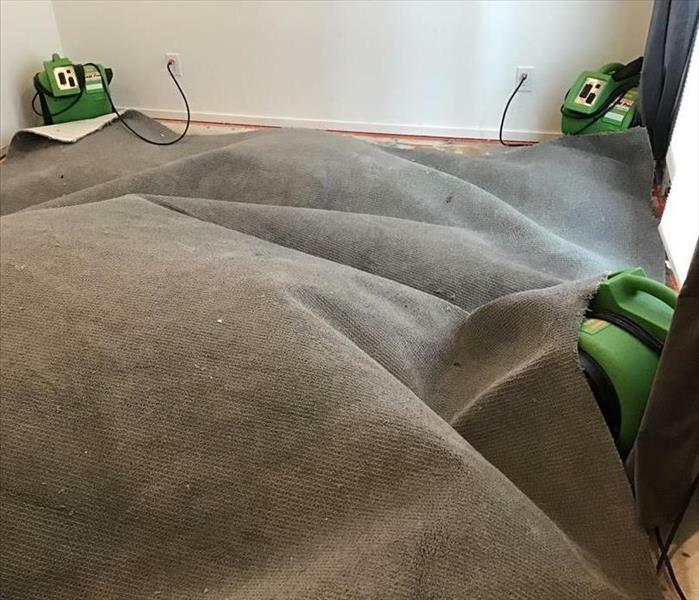 We use a technique called "Carpet Floating" in order to dry the damaged carpet faster! It dries the top AND bottom, cutting the drying time almost in HALF! 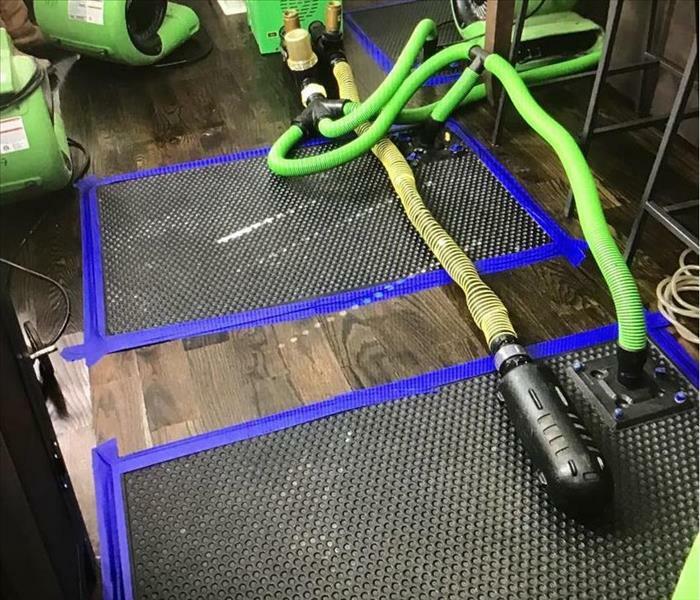 When there's really wet hardwood floors, we have these mat systems to make sure that we get up all of the water that is trapped under the floor before we set up air movers. This way it reduces how much flooring needs to be pulled! Octavious checking equipment in a Downtown condominium. 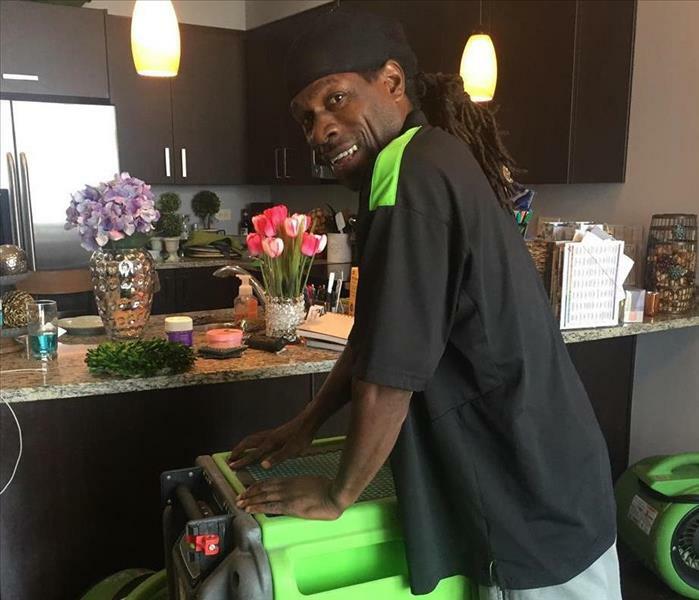 "O", as we call him, is one of the hardest working technicians that we have at SERVPRO of Hermitage/Donelson. He'll most likely be one of the friendly faces that helps you in the event of a disaster. Darren, Mike and Octavious check the equipment that was set out in this Downtown condominium. An out-of-control dishwasher soaked this unit, along with one other while the resident was out of town. 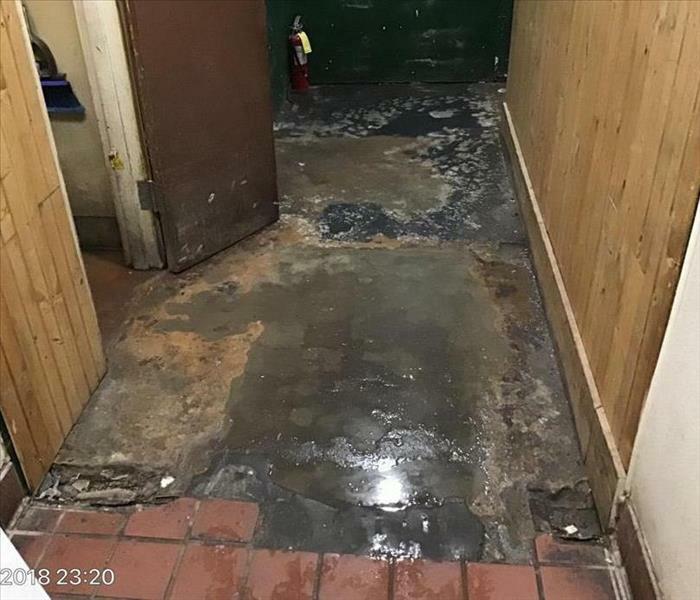 A popular restaurant on Broadway suffered a major sewage problem due to a very outdated pipe system. 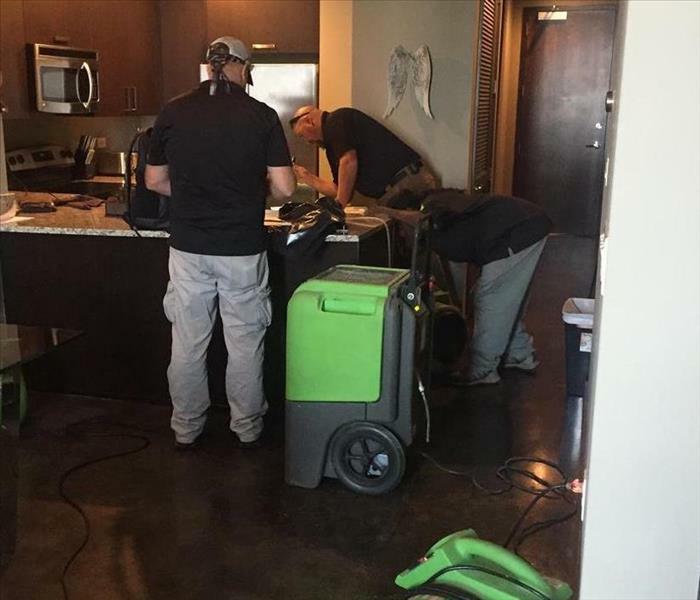 SERVPRO of Hermitage/Donelson worked straight through all hours of the night to help restore this facility.